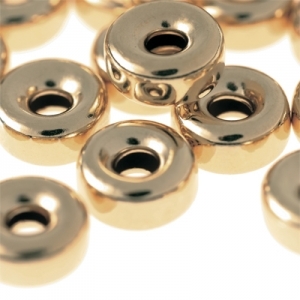 Peekays Findings is now offering roundels in 9 carat yellow gold in 3×1.8 size. If you wish to place an order for that item, please use the product code ROND3. Peekays’ roundels are also available in other sizes varying from 4×2.5 to 8×4.0 in 14 yellow gold and sterling silver depending on which size you are looking for.